In the world of internet security, virtualization of services such as storage for cloud computing is set as a high priority. 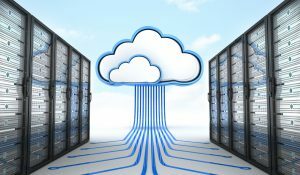 Cloud computing, itself, for an IT infrastructure is the ability to use, for example, computing power and storage like databases or network assets. While it is a highly versatile solution offering almost-limitless benefits, it is, at the same time, a complicated and highly complex affair of a business. Especially applications, the cloud can refer to the browser-based SaaS applications in which users have to pay for the services. This has led to technological advancement by breaking traditional models of proactive technology. The best database for your organization is deployed for cloud computing assistance and many options are available. With so much out there, it can get confusing as all solutions are based on enterprise scenarios. Security, performance, and compliance are the top three most critical keys to focus on for all organizations that are centrally prioritized. The best practices are essentially required to manage the priorities of the database strategy for the enterprise model. Without implementing this, even the best database for your organization would not provide the optimum level of functionality. Due to the customization ease towards business-specific needs, a private cloud solution allows more control over the enterprise environment. It is also a part of the IT infrastructure that has enhanced security which boosts confidence in the security of the solution, as the IT system owns it. Due to the geographical position of a user, latency is an issue as the legacy application is impacted due to the data and user relatively located. Especially when using mobile devices yielding the remarkably poor experience of users. Also, the company offering the data, if remotely located, would also contribute to a greatly frustrating usage of the service. The best database for your organization cannot let users shed tears over the poor performance that may be critical for their assigned tasks. Other concerns are industry-specific regulations compliance issues that are severely strict. Some countries have set implementation policies and regulations which do not always match the business in other countries, creating a policy nightmare. Hybrid cloud solutions are very flexible and more customizable than the previous solution. This solution allows managers to select and opt elements needed from private or public clouds if the need arises. Cloud bursting is the largest benefit of this solution that helps when more users suddenly show up and request services. The burst can help handle the system’s intake of extra users without downing the system. Its self-managing features allow more flexibility to be able to handle workloads according to business requirements. The cons are that it’s highly complex, integration can take long periods of time and connecting with public clouds increases potential security threats. It also may lead to overuse of services whereas users are scarce, a result of auto-management. The scalability of public cloud solutions is phenomenal. The cost models let users’ select pay-as-you-go benefits that are an added advantage. With faster performance capability and new application induction into services offered, using legacy applications are challenging. Sprawling here is also a major issue like hybrid and lead to advanced security threats. Without strategizing for proper management and control, costs sometimes rocket, resulting in negated savings and lower efficiency of the system. Another shortcoming is data visibility where the location is hard to determine where it resides once inducted into the database cloud. By its nature, the public cloud solution is homogeneous in that it works on different enterprise needs. Latency can be an issue depending on the enterprise architecture and the way it is implemented, deployed and utilized. In order to choose the best database for your organization, dependability is a high concern. The data center takes care of an appliance database management, which is either self or vendor based. There are thousands of vendors out there who provide this solution but performance and support facilitation are greater if one is selected for the whole set up. It can be disadvantageous to use a single vendor creating a limiting monopoly while applications databases can become niche and seldom used. This solution is also expensive but can be cost-effective with the right settings over a period of time. Why Should Businesses Stay with QuickBooks? Strategies to Attract Private Fund Investments Why Should Businesses Stay with QuickBooks?